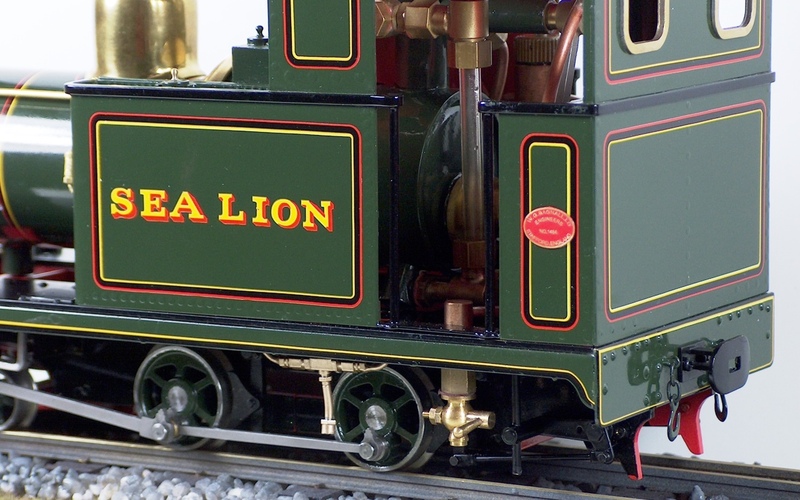 We are delighted to announce that TrackShack has commissioned Accucraft (UK) to produce a model of the Groudle Glen Railway Bagnall 2-4-0T ‘Sea Lion’ in live steam. The model will be to 7/8ths” scale (1:13.7) for 45mm gauge track and will happily harmonise with the Trackshack/IP Engineering range of 7/8ths” scale Groudle Glen rolling stock kits (and can negotiate LGB Radius 1, 2′ radius curves). 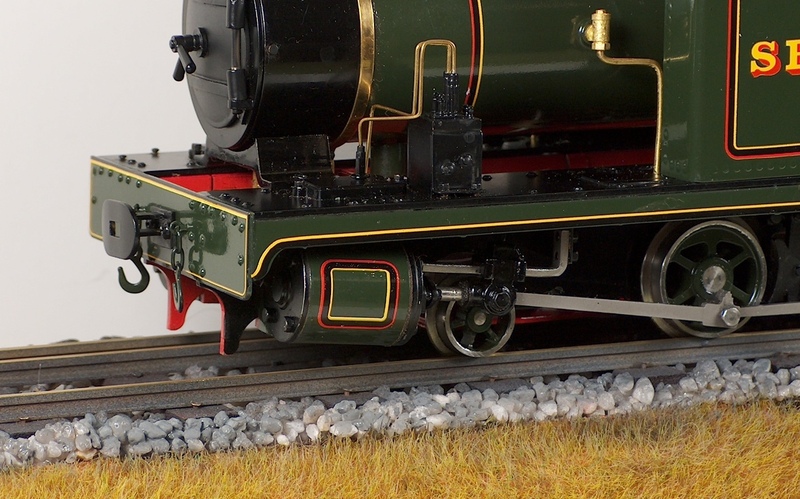 Built to Accucraft’s usual high standards, the loco will be constructed of copper, brass and stainless steel and carry the enhanced level of detail that scale allows. The models are exclusively available from Trackshack. At least 50% of any profit from this model will go to the Groudle Glen Railway to help fund the construction of ‘Brown Bear’, a new Bagnall 2-4-0T to take the place of ‘Polar Bear’ (now preserved in Sussex). Purchasers of this model will also gain similar benefits as those donating £178.10 to the new construction. You can see more about the ‘Brown Bear’ project here. 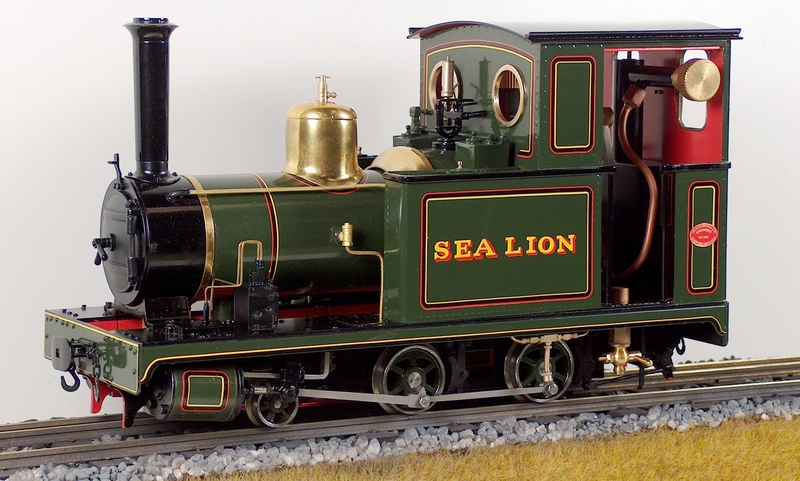 ‘Sea Lion’ was built in 1896 for the 2′ gauge Groudle Glen Railway on the Isle of Man where it still operates today. The locomotive was built by W.G. Bagnall & Co., Stafford and delivered to the line in May of that year, the only loco until joined in 1905 by sister locomotive ‘Polar Bear’. Initially the locomotive carried an olive green livery with vermilion and yellow lining and the name carried on the side water tank in gold leaf, with round spectacle cab windows – ‘Polar Bear’ was fitted with rectangular windows to improve driver visibility. 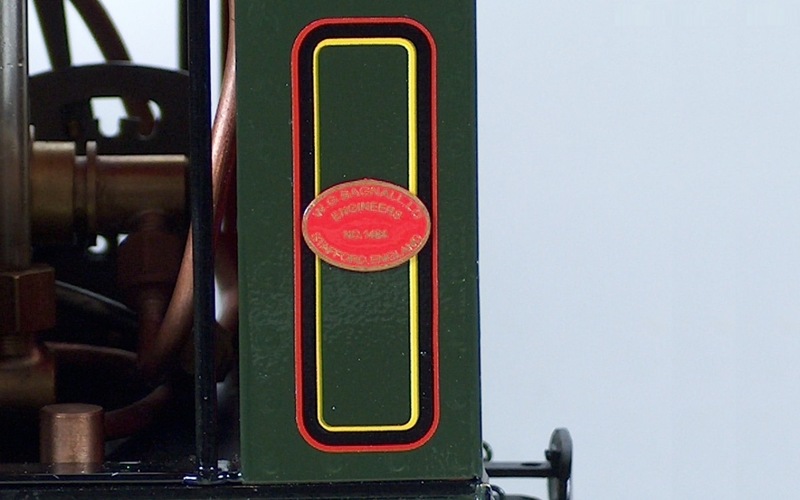 The locomotive was equipped with unusual valve gear patented by E.E. Baguley and is one of only two locomotives fitted with this to remain in existance. By the 1920 season the locomotives were out of traffic and the line purchased two battery electric locomotives that took the steam engine names. The electric locos were a failure and ‘Sea Lion’ was returned to the works for re-build, continuing to operate until the line closed in 1939. When the line re-opened in 1950 it operated with ‘Polar Bear’ only owing to a decrease in demand and the poor condition of ‘Sea Lion’ which had been stored in the open air for some time. 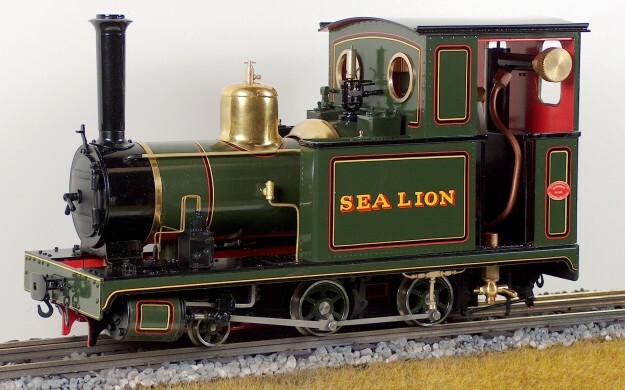 The railway survived until 1962 but by that time ‘Sea Lion’ was derelict. Rescued for preservation she was eventually restored and returned to a rebuilt Groudle Glen Railway in 1987.